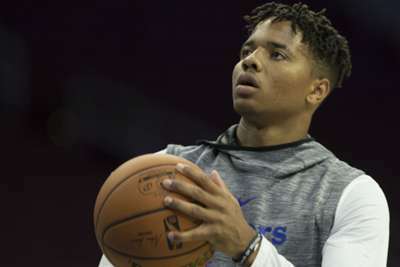 Philadelphia 76ers guard Markelle Fultz is ready for the regular season following an interrupted NBA campaign in 2017-18. Fultz, 20, struggled with injuries and a hitch in his jump-shot as a rookie last season. But, after Philadelphia's preseason opener on Friday, Fultz said he is fully healthy. "Physically I feel great, and mentally I feel great," Fultz said. "I put in a lot of hours this summer to get up reps of going through a whole bunch of different situations. "So coming in, I feel perfectly fine. I'm confident. I feel great coming in, and I'm just looking forward to building each and every day. "I had to get healthy. [The shoulder injury] was the main thing that stopped me from doing what I was doing in college coming in [to the NBA]." Fultz started and scored 14 points in the 76ers' 104-84 preseason win over Australia's Melbourne United on Friday. 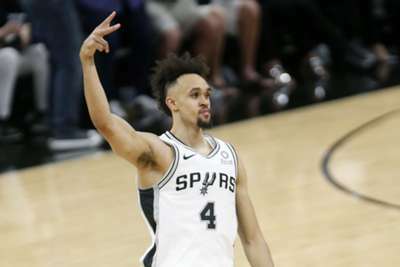 He came off the bench in every game he appeared in last season. "It was unbelievable," Fultz said after the game. "Just really tried to build off last season ... I put in a lot of work this summer. Tried to get back out there and just be a competitor, really. It felt really good." Philadelphia will begin the regular season against the Boston Celtics on October 16.